1. 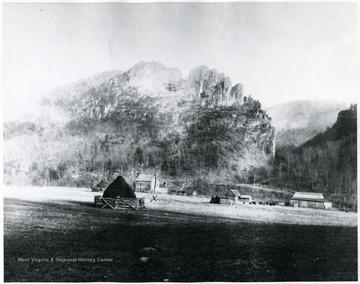 Farm House in Front of Seneca Rocks, Pendleton County, W. Va.
Farm House in Front of Seneca Rocks, Pendleton County, W. Va.
2. 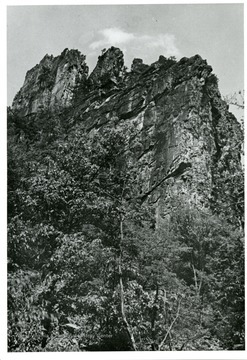 Seneca Rocks, Pendleton County, W. Va.
Seneca Rocks, Pendleton County, W. Va.
Seneca Rock, one of the state attractions on U.S. Route 33, at Mouth of Seneca. Monongahela National Forest, U.S. Forest Service. 3. Farm Scene at Seneca Rocks, Pendleton County, W. Va.
Farm Scene at Seneca Rocks, Pendleton County, W. Va.
4. 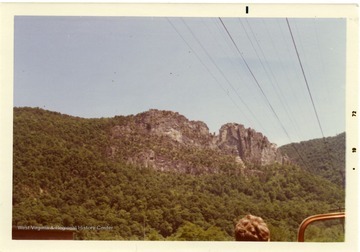 Seneca Rocks, Pendleton County, W. Va.
A view of Seneca Rocks in Pendleton County, West Virginia. 5. 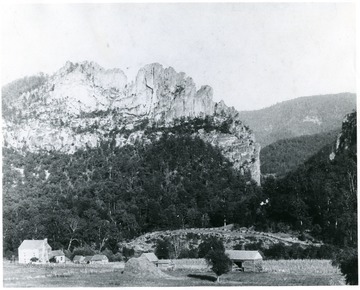 Seneca Rocks, Pendleton County, W. Va.
6. 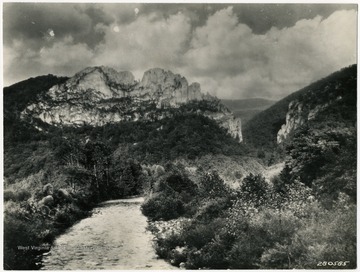 Seneca Rocks, Pendleton County, W. Va.
7. 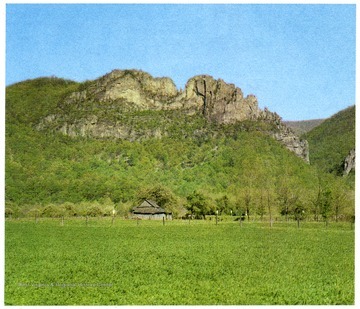 Seneca Rocks, Pendleton County, W. Va.
8. Harper Home at Seneca Rocks, Pendleton County, W. Va.
Harper Home at Seneca Rocks, Pendleton County, W. Va.
9. 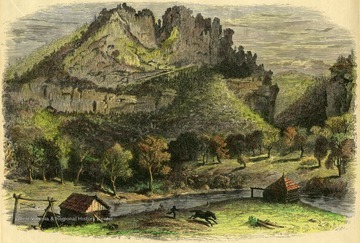 Drawing of the Cliffs at Seneca Rocks, Pendleton County, W. Va. 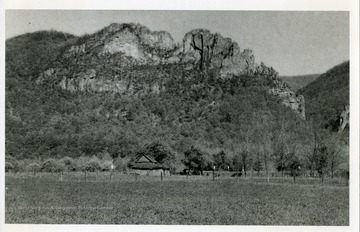 Drawing of the Cliffs at Seneca Rocks, Pendleton County, W. Va.
10. 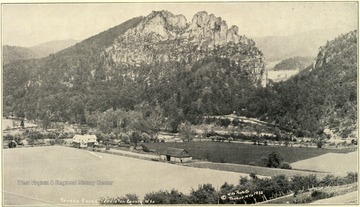 View of Seneca Rocks, Pendleton County, W. Va.
View of Seneca Rocks, Pendleton County, W. Va.
11. 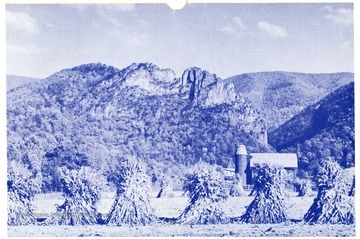 Farm Scene with Seneca Rocks in Background, Pendleton County, W. Va.
Farm Scene with Seneca Rocks in Background, Pendleton County, W. Va.
12. 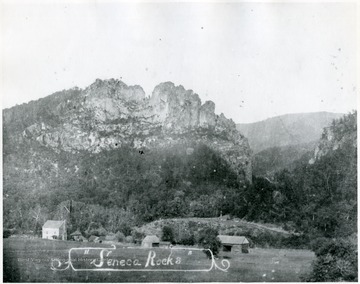 Seneca Rocks, Pendleton County, W. Va.